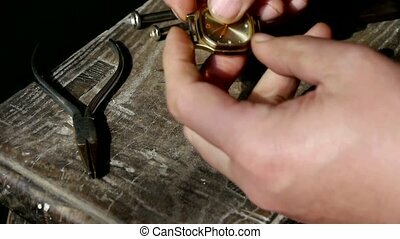 Fixing pocket watch. 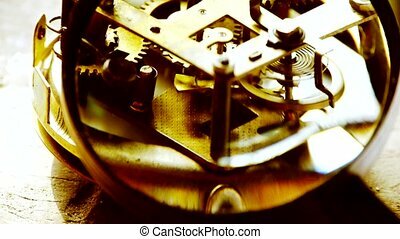 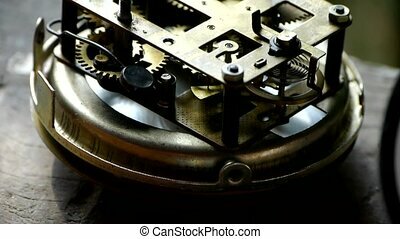 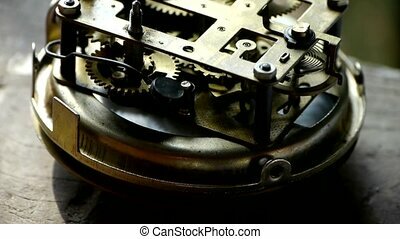 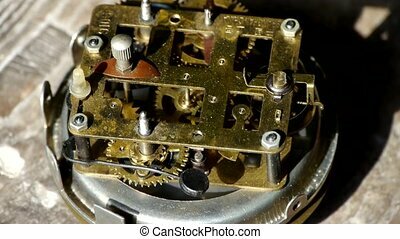 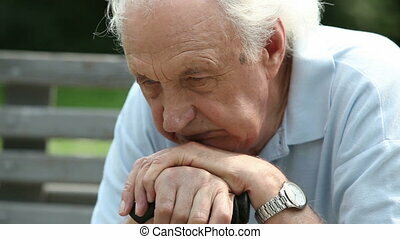 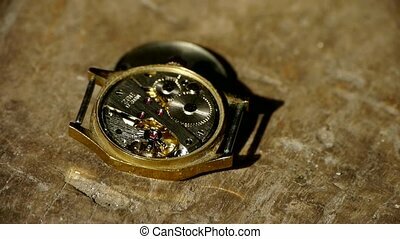 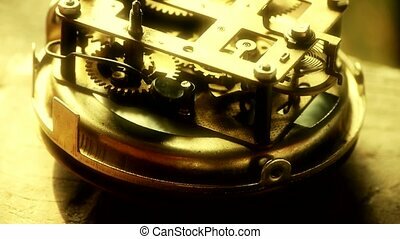 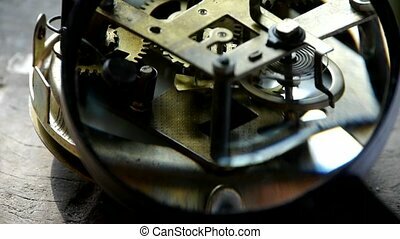 Close up of malfunctioning pocket watch fixed by unrecognizable clock master. 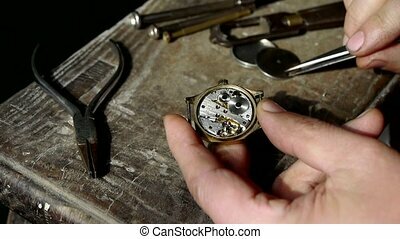 Demolished to open watch on wood desk,A lot of tools. 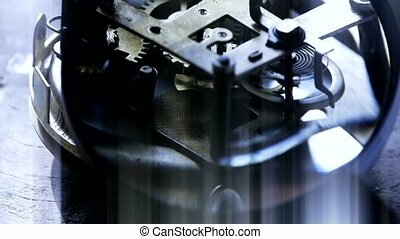 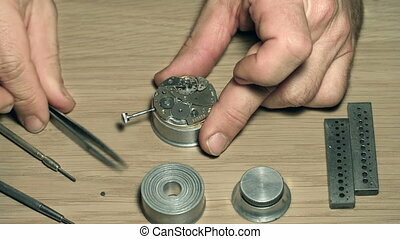 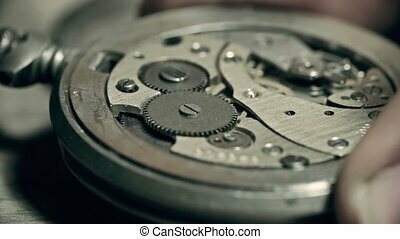 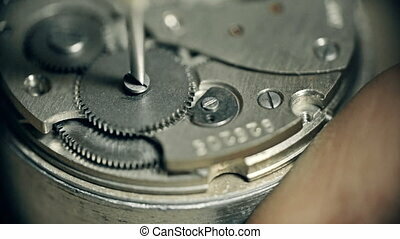 Holding internal structure of Watch on desk,bearings,gears,hand. 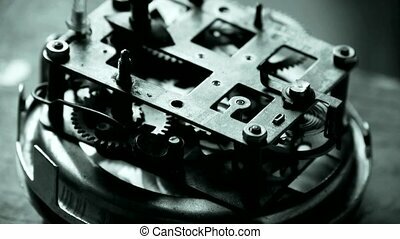 Fasten watch lid on wood desk,A lot of tools. 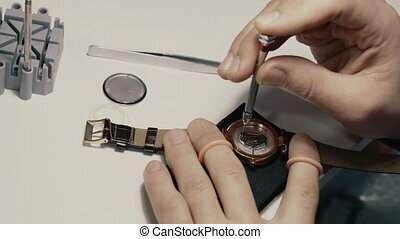 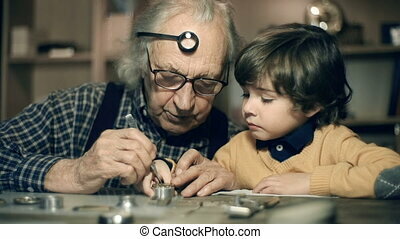 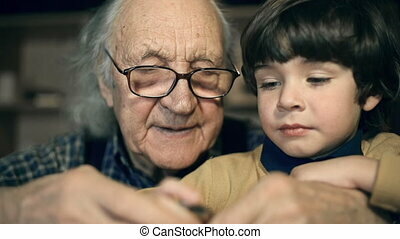 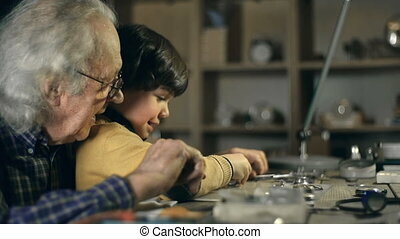 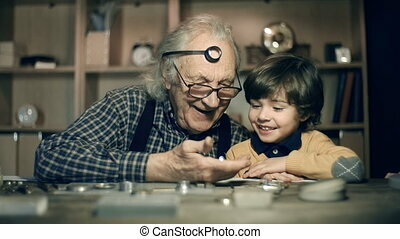 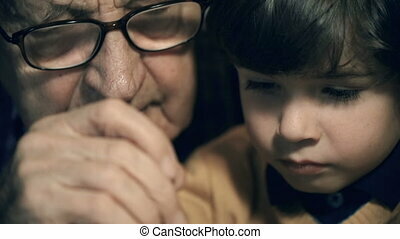 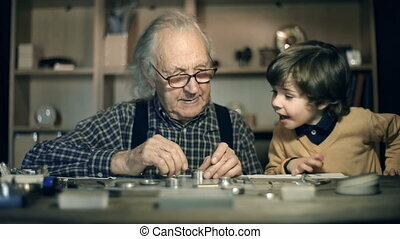 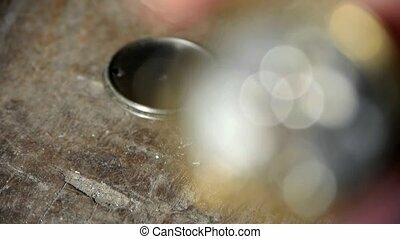 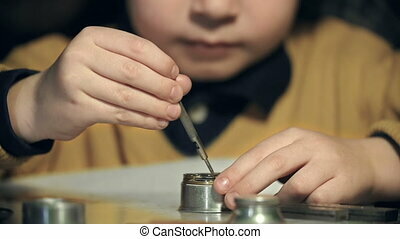 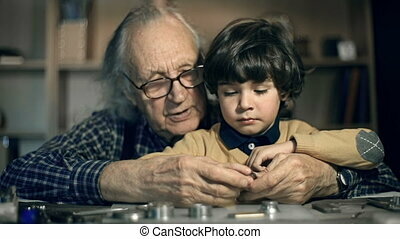 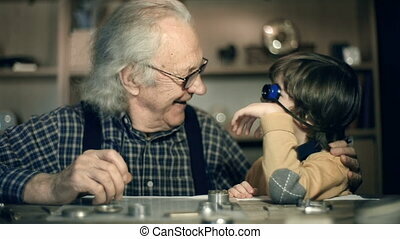 Magnifying glass to enlarge internal structure of Watch,bearings,gears.